WEST ALLIS, Wis. -- A truck filled with cheese caught fire Tuesday in West Allis, outside Milwaukee. Nobody was hurt, but 20,000 pounds of cheese is gone. According to the fire department, the truck driver was on the highway when he realized his brakes were on fire. He pulled off at an Office Max, and tried to put the fire out himself. When that didn't work, he disconnected his cab and fire crews had to do it. Cheese burns at a high temperature, so when firefighters responded, they had to use foam to fight the fire. 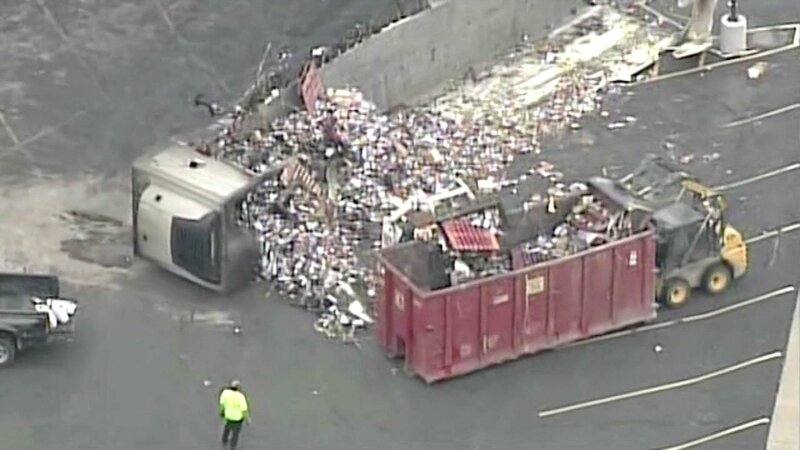 The semi had 20,000 pounds of Kraft and Velveeta cheese inside. It brought out a lot of people who couldn't believe what was burning. "It's a very difficult fire once the cheese gets going," said Assistant Chief Kurt. "We also had a diesel...the combination of cheese and diesel fuel made for a pretty hot fire." The semi and the cheese are both total losses.